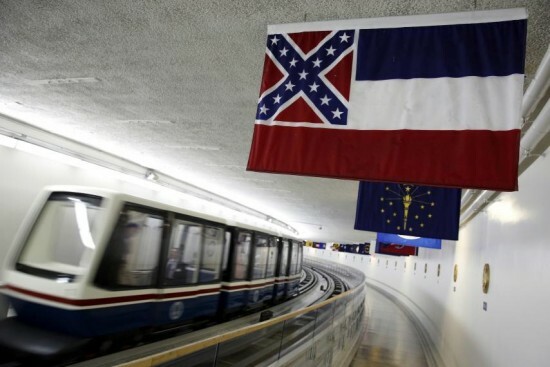 “WASHINGTON — State flags, including the controversial Mississippi flag featuring the Confederate battle emblem, will no longer hang in the tunnel at the U.S. Capitol where each had been displayed. Rep. Candice Miller, R-Mich., said Thursday the flags, which had been removed during renovations, will instead be replaced with prints of each state’s commemorative coin. It is not just the Mississippi State Flag. 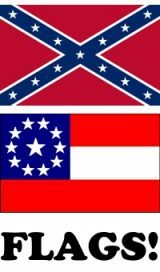 The #TruConservatives on Capitol Hill are worried that the Alabama State Flag might also trigger minorities. This entry was posted on Saturday, April 23rd, 2016 at 9:50 pm and is filed under Southern Heritage. You can follow any responses to this entry through the RSS 2.0 feed.